"True genius without heart is a thing of nought - for not great understanding alone, not intelligence alone, nor both together, make genius. Love! Love! Love! that is the soul of genius." I love watching musicians and artists perform who clearly love what they do, because there often is evidence of genius there. One recent case in point is eleven year old Balinese jazz pianist extraordinaire Joey Alexander. 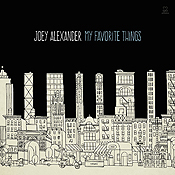 His debut album, My Favorite Things, has just been released, and I am simply amazed to hear this young musician playing with such finely nuanced touch and sensitivity. I love how some things, like music, transcend apparent barriers of language and culture. And when we feel a need to learn new languages, I love how it can be possible sometimes to bridge the gap with remarkable ease. Quantum jumps come in handy for learning new languages, as a recent BBC article on How to Learn 30 Languages points out. While the author doesn’t specifically describe a quantum jumping approach to learning new languages, he does mention that, “the best linguists are particularly good at taking on new identities.” The basic idea is knowing there already exists another possible "you" who knows the language in question--and allowing your consciousness (your true identity) to jump into that version of you who is a master of language! 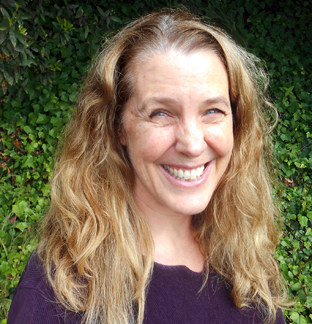 Cynthia Sue Larson talks with New Human Living Radio host Les Jensen about the art and science of quantum jumping, and how we can find our authentic true self amidst a plethora of wonderful possible realities. At this time when a majority of physicists surveyed indicate they believe that you and I and everyone and everything else exists in a superposition of states--which of our many possible selves is true? 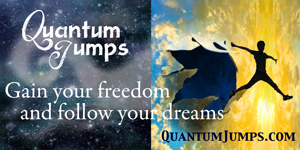 Quantum jump into a life of greater power, purpose, and passion! Sessions include discussion about the Quantum Paradigm, Ontology, Hacking Consciousness, and a new dialogue between science and religion. Confirmed plenary speakers/panelists include; Stuart Kauffman (Systems Biology, Seattle), Terrence W. DEACON (UC Berkeley), Kevin Padian (UC Berkeley), Walter Freeman (UC Berkeley), Howard Pattee (Binghamton University’), Swami Prasannatmananda (Vedanta society), Seán Ó Nualláin (UOI), Henry Stapp (LBL, Berkeley), Beverly Stokes (Amazing babies moving), Cynthia Sue Larson (RealityShifters). Early-bird registration for this conference by June 30th can be reserved with payment of $200 at http://www.foundationsofmind.org/donate/ The fee thereafter is $300 with $50 for individual panels. This conference is free for UC Berkeley students. I found my South High School yearbook online from the year 1962. I lost my own copy of the yearbook many years ago. So I turned to the pictures of the graduating class of Seniors, expecting to see my photo, but I was no longer in it. There was instead a photo of guy named David, (same first initial as my given first name) that I don't remember ever meeting or seeing when I was there. It sure seems like I would remember a guy with a name so close to mine. He is similar in general appearance to me, but could not be mistaken for me. My best friend Steve's photo was there, my favorite teacher, Mr. Green was in the yearbook, but who was this David, and why was my photo missing from the yearbook? It gave me a pretty strange disoriented feeling, like I was some sort of alien put here with false memories. Could be a Reality Shift, or maybe some weird trick of memory. I was pretty much of a non entity at South High, as an introvert I had few friends, and was not involved in school events. I am not too surprised that there are no other photos of me in activities, but I expected at least I would be listed. My friend Tom arranged a blind date for me for the senior prom, but she never danced with me and went home with another guy. Didn't do much for my poor self image, but it is memorable, if only for the effect it had on my self confidence. I have come along way in finding some peace and self love since those days and finding a way to live in this strange and difficult world, but this odd experience gives me such a strange feeling, as though I somehow didn't exist in my own life then. It certainly felt weird. I was sure that I was not in the '61 yearbook either, but re checking I am now in it, though still not in the '62. And my name is somehow obscured under the photo in '62. My memories of those days is somewhat hazy, it was such an unpleasant period in my life. Maybe I just forgot missing photo day, or the photo got left out somehow. The thing about it is that life does seem to reflect what is going on within as you know. Here I felt so unimportant, sort of a nothing, and then to see the yearbook and how I didn't leave a single mark or evidence of even having been there my senior year was a shock. I do feel strongly that what we think and feel has an effect on reality, and that things can change miraculously in an instant. There are probably an infinite number of pasts as well as futures. Our reality is composed of a string of mostly logical stream of past scenes that explain where we are now in our lives. I really appreciate the work you are doing in this area. It is hard to find real clarity sometimes in this world where things tend to be very confusing and complex. I used to think things were too fixed and unchangeable: hard and unforgiving, never taking into account people's brightest hopes, feelings or dreams. The past was set in stone, and there were a big pile of arbitrary laws of nature that were invariable and fixed. I resented that. There was no "magic." Now I am beginning to realize that things are much more malleable than we ever suspected consciously, but it requires a change of mind and consciousness that most people find very difficult. That is where people like you come in to open people's minds to the possibilities. Until that shift occurs within, not much will change without. Note from Cynthia: Thanks so much for your reflections on your experience with noticing your senior photo not being in your high school yearbook. This is the kind of situation many people can relate to, since often when we see something in writing be one way and then another we wonder if changes in written records are really possible. I agree that things can change miraculously in an instant, and I've noticed times when I could see reality flip-flop between two more more of them. I have had a couple of "now it's here and now it's not" things happen recently. There were road work signs in a neighboring community talking about a long term road project, along with the pylons, etc. The next time we drove by there, maybe two days later, it was like it never happened. Also, I had a driving trip planned from Phoenix to Tucson. My hubby looked up the roads for possible closures and my mom heard on the news that it would be difficult to get from here to there. However, the next morning when we were ready to leave, there was no sign of any closures at all. As a matter of fact, the traffic was unusually light! Oh, Whenever I am getting ready to merge from an on-ramp and need to cross way over to the carpool lane, I simply thank the angels for a traffic break and just move on over with traffic kind of backing off behind me in all four lanes! My state of mind for thanking the angels for the traffic break is "just as if it has already happened.” I don't ask. I just say, "thank you," for I know it will be all clear. I just used it again tonight! I even have my hubby expecting it now, even if he is driving and I am a passenger. Note from Cynthia: Thanks so much for writing to me regarding some disappearing/reappearing road work signs, the changes in the road closure situation between Phoenix and Tucson, and traffic lanes clearing up--all four lanes--just when needed. These are awesome! I love your positive attitude of believing what you are expecting to be in place, as if it has already happened, and I'm glad to hear that your husband and you both enjoy the traffic breaks! It seems people often enter meditative states while driving that might help facilitate these kinds of experiences. I've been going to college part-time for almost five years. Today was the last day of school for me, because I graduate on Saturday. There are several buildings on the college campus situated around an open square, with walkways that crisscross it. You can see the entire campus at a glance, as everything is spacious, and open. So, I was very surprised today when I walked out of the back of the main college building, and couldn't see the other side of the campus. Today my view was obscured by a huge hedge which was over five feet high, and many feet long. It had clearly taken a long time to grow there, and it was well trimmed, and taken care of, which was odd as it hadn't ever been there before today. I was so shocked that I followed the new hedge, staring at it in disbelief the whole time. I go in and out of the various college buildings on a regular basis, and there was no way that I could have missed this big hedge. No one else seemed to notice anything different at all. I've been reading on the realityshifters site about appearing/disappearing buildings, but I'd never had anything like that happen to me, and now I guess I have. I had been thinking over and over that had I been able to foresee all of the drastic changes that have taken place in my life since I had started college, I would not have gone back to school. Since I started college, I got cancer, two of my best friends died within six months of each other, I lost my job, and my 12 year old dog had died in my arms. Because I could not have foreseen those things happening, I had been brave, and very determined to experience campus life to the fullest. I had my poems, and short stories published several times in college publications, and I was recently awarded Honors in Creative Writing and English. All of those things have made me very happy. I hope that makes sense. The last day I had an unobstructed view was Sunday or Monday-May 3, or 4. I saw the hedge on Wednesday, May 6, 2015. The plants used to create the hedge were not plants I'd usually associate with a hedge. They were looser, and floppier, and there didn't seem to be anything holding the hedge up. I thought that was odd. Note from Cynthia: Thanks so much for sharing your experience with a huge hedge suddenly appearing at your school the other day, and also that it's been a challenging time since starting college. Actually, 'challenging' seems like an understatement. It seems more apt to say it's been a heroic effort on your part to keep going no matter what, and I'm so glad to hear your poems and writing have been so well received, honored, and recognized! You're definitely not the only person to have noticed abrupt changes in Nature; I have published reports of an enormous tree suddenly being part of a neighborhood landscape that obscured previously visible views, as well as an entire mountain being in a different place. While we city-dwellers might be more focused on man-made structures, some of us definitely are noticing changes in plants! Your observation about these plants being looser and different than usual hedge shrubbery is fascinating. I worked at LAX for 20 years managing passengers in Terminal One. We had a great little bookstore that I spent every spare moment in during my downtimes. One evening I was looking for the book "Lust for Life" for my guy who I knew would love the story of Vincent Van Gogh. I found a beautiful paperback version that cost $15.95. My thought was "YIKES! $15.95 for a PAPERBACK? I'd spend $5.95 but NOT $15.95!” (remember this is the ’90's) I put the book back on the shelf and walked out the door. I got no more than 10 feet away and looked at something laying on the floor of the busy terminal. Crumpled up in a ball was an interesting piece of paper—you guessed it! A $10 bill. I cracked up! Of course I marched right back and bought the book which was loved by it's receiver. These are the kinds of intersections that I love love love! Where it seems like god wants to make you laugh. Make you understand that you're seen and heard and loved. I'm a pretty serious person, so I'm thrilled when god makes me laugh. Working at the airport, I have to say was such fertile territory for miracles and reality shifts. the part that's hard to tell in a narrative though, is how much inner conflict I had. That's the part I never really looked at before now. How all kinds of feelings and motivations coalesced and collapsed to cause this to happen. Even as I was in the bookstore wanting to buy a special book for this person, I was mad because he never bought me anything. That played a part in my saying—geez, I'd pay $5.95 for this, but I sure as hell am NOT paying $15.95! For a moment, I even considered just putting the $10 in my pocket and walking away! But even as I was new to these types of experiences—I understood in less than a second that God wanted him to have this book even more than I did. I laughed at being outnumbered. Outsmarted. And also knew that learning unconditional love was going to be part of this package. And I was really proud of myself that I "got it" immediately. That's the part that brought tears to my eyes every time I remembered it. I have a feeling now that probably ALL these stories are complicated and that's why they're impossible to replicate. Maybe our consciousness is more soupy than laser like. Maybe that's not such a bad thing. Perhaps if I'd had laser-focus I would have ended up with the “guy”--But because I was more like a soup of all kinds of needs and motives, I got to learn about loss, heartbreak, resilience and unconditional love. That was even better! Note from Cynthia: You're quite likely correct that most such experiences come from the messy, "soupy" subconscious areas of emotional entanglements between ourselves, other people, multitudes of objects and things, and God. And I love how you immediately "got it" about being outnumbered, and the value of learning unconditional loving kindness! Many people experiencing these sorts of things find when experiencing reality shifts and quantum jumps that high emotional energy is usually part of the package deal. And there's something immensely satisfying about feeling one is part of a bigger unseen order, sharing divine unconditional love! In the past I've had the feeling many times while doing some coding that I suddenly popped into a different place. It happened when I couldn't figure out a problem. I would find the answer but often I didn't feel as though I was doing anything different, just that things were different and everything was working fine, and even looking back I often could not see what had been wrong. I've had this feeling many times: it's as though the 'jump' fixed everything and from that point on I would be working as though the whole thing had not happened. It is a most peculiar sensation. It seems as though 'feeling' is important in all this. I don't describe it well though. It is true that I can be slightly day-dreamy when this happens. Note from Cynthia: I've noticed such meditative states while driving are often associated with "going farther in less time" reality shifts, and your experience of quantum jumping while engaged in software development activities sounds similar—like the computer programming version of going farther in less time (with fewer bugs)! it’s called lucid dreaming in one of its forms, the other form is pure unadulterated daydreaming. ;-) Quantum shifting as you describe it, is really a shift of viewpoint or perspective, there is no way at present to determine whether a practitioner actually enters an alternate universe or not. but i will grant that there exist multiple realities which are often explained away as being fantasies or dreams. Here is a favourite experiment I often use. to prove the point somewhat.place a picture in front of 10 people and ask them to write down, in their own words. what they see, they should describe it in as much detail as possible. If you look at their description, even though they where all shown the same picture , each will describe that picture differently. Now. lucid dreaming is very interesting and is often associated with "quantum" states., when you wake within a lucid dream, it appears very real to the person having that experience. all the senses are engaged. the difference? the accepted laws of physics do not apply. further during that state the dreamer will have little of no awareness of the"real" world.. once the person wakes up. the dream loses its aura of reality but more often than not that persons emotional state will correlate closely with the dream experience. Interesting site you have, though. Just thought I would share my perspective on the subject. I've written before about my memories of thanksgiving being on the third Thursday of November and I've seen many others mention it as well in your articles since then. I have to say I'm happy they've got the same memories even though I find it odd to have that memory. What I want to ask you now, have you or has anyone else written you about experiencing a feeling of a shift taking place. I have, but the problem is I don't know how to put those feelings into words. It's a feeling of hesitation I guess is the best way to explain, however with that feeling comes a knowing of " a shift " then I say to myself or out loud "I wonder what changed this time ?" I've also looked for things on the internet said by politicians that were once there, and suddenly to no avail, Gone, no matter how long I search. Thanks for the help and the website, it's helpful and makes me feel a little more at ease. Yes, people often do get a feeling or sense that something has shifted, or is shifting. I write about this in my book, Reality Shifts: When Consciousness Changes the Physical World, and it's a topic that has come up many times over the years and been discussed in RealityShifters, the monthly ezine. Being aware that reality can be as ever-changing as any dreamscape helps open our minds to experiencing more shifts in reality than we would otherwise, perhaps due to our removing some kind of consciousness "reality lock" that most people subconsciously keep in place. Sharing common experiences, such as changes in holiday dates, coin sizes, and celebrities being alive again who'd previously been announced as having passed away all give us topics for discussing observed discontinuities in "facts" between one reality and another. Thanks so much for your appreciative and insightful email! I purchased Reality Shifts a long time ago, but I guess I needed a reality shift before I could actually "hear" what you are saying. Just in the past few days I've been listening to everything you have on YT and re-reading the book—secretly hoping I'll be able to cause my Rolex watch to reappear from whatever reality it's been in for the last 20 years. Seriously, this has just re-grabbed my attention and I realize how much of my life has been trying to know how these things happen. I have heard you say several times that the jumps seem to happen as a quantum leap—with little to see in the way of a transition phase. I have to tell you that back in the mid '90's I had two interesting experiences—both involving a guy I was just terribly in love with. I was meditating regularly as was he. Two times I had a very sudden and powerful desire to see him, and he materialized before my eyes. I tried to explain it to other people that were with me (and also saw him) but I KNOW I had a hand in causing it to happen. I tried to explain it to people that "he came together in parts like little colored squares until it was total.." They just looked at me like I lost my mind. Many years later when I explained it someone said, “OH, like PIXELS.” YES! 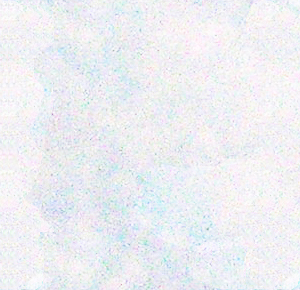 That's exactly what it was like except I had no knowledge of pixels when this happened. Anyway—it was kind of transitional and slow forming like slow motion—precipitated by a powerful wish on my part. I've got loads of stories, like I'm sure everyone else does if they think about it hard enough—but this one I wanted to contribute because it did seem to not be exactly a leap, but a path. I don't do any drugs or drink much at all. Neither time was there anything inspiring me except “desire”--as I said. A strong “wish.” I'm the kind of person that wants to be open, but at my core I know I'm pretty left brained and analytical. Though as I said, I was meditating a LOT—like a couple of hours a day, every single day. I had several (many) experiences surrounding this particular person because he was so open and freed me to do things I'd never have done, like learn to surf. So in a way I was more open than I'd ever been before. Thanks so much for confirming you don't do drugs or drink much at all, and weren't at the time. I am fascinated by the gradual way the materialization occurred in such a way you were able to see it happening. I've had just one similar experience happen in my life when I was very young, but it is a bit different than what you describe. I remember being a little girl waking up one morning to see my mother standing quietly alongside my bed. This surprised me, since I hadn't heard her come in the room and I was a light sleeper--and more surprisingly, I watched as she disappeared a little bit at a time, the way you're describing your boyfriend materialized to you. I asked my mother that morning, "Were you in my room, standing near my bed this morning?" and she said, "No," leaving me wondering how and why such a thing could happen. The way our senses work is not a literal or direct translation of actual physical reality at all, but rather an interpretation. The more we learn about all of our senses, the more we come to a realization that our senses are interpreting reality constantly in ways we still just barely understand. The way the brain joins together sounds we hear with visual input, for example, is still a mystery, since visual input often reaches us before audio, yet we somehow hear the sound of crashing dishes at the same time we think we see the dishes hitting the floor. In the case of anomalous sensory input, we may well be experiencing the way our senses themselves initiate input of information in our brains and minds--so we might be witnessing part of the way the senses operate that we hardly ever get the privilege to see so clearly and first-hand. And the perceived slowing down might be something our brains and minds do to help connect and harmonize all sensory input at the time when reality is shifting from one reality frame to another. I've seen the time slowing down happen on a few of my reality shifts as well, and it makes sense to me that our brains/minds would show the world to us that way amidst a shift, in order to help mesh things together seamlessly--even when that's actually not such an easy thing to do. 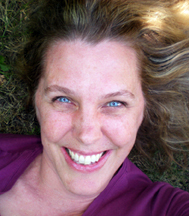 Colleen Mauro demonstrates one of the advantages of having decades of experience in spiritual journalism, with the seemingly effortless ease by which she presents thousands of years of spiritual pearls of wisdom. Mauro's new book, Spiritual Telepathy, is a page-turner packed with a very comprehensive collection of essentials for living a spiritual life. Mauro takes us on a journey through esoteric mystical wisdom teachings from the east and the west, which she shares in the gentle voice of a wise tour guide. Interviews with spiritual teachers and their insights and practices are interspersed in such a way that provides a real sense of how it feels, for example, to undertake the daily discipline of watching one's thoughts. Mauro provides many of her own experiences, too, in ways that indicate she truly is walking her spiritual development talk. Some of my favorite sections of Spiritual Telepathy have to do with meditation practices we can utilize to redirect energy from lower to higher centers through right thought, speech, and action by "standing in their shoes" any time we feel the urge to direct negative energies toward others. I also love Mauro's practice of nightly review, which when done every day provides incentive to avoid gossip, and practice inner tranquility all day long. Spiritual Telepathy is a book that provides seekers of all paths with great insights, direction, and validation, as well as with marvelous meditations and energy practices by which they can join together with increasing numbers of like-minded others. Spiritual Telepathy can help you find the "sweet spot" on your personal journey where your unique gifts and passion come together with the needs of the world. Highly recommended! Over 7,900 RealityShifters Subscribers live in 84 different countries around the world -- with the majority in the United States of America, Canada, the United Kingdom, Australia, Africa, New Zealand, India, the Netherlands, Malaysia, Mexico, Italy, Sweden, Germany, Brazil, Belgium, Singapore, South Africa, the Philippines, Japan, Norway, Ireland, Denmark, Spain, Israel, and Panama.